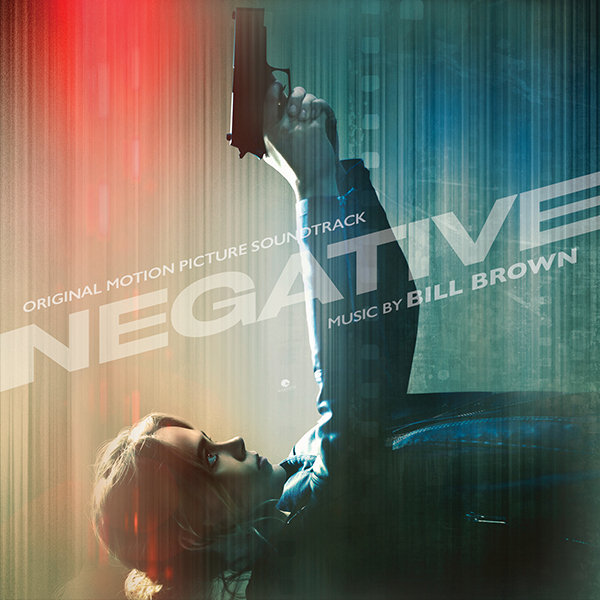 Coinciding with the movie’s American premiere on 19 September, MovieScore Media presents the tension-filled espionage action score of Negative, composed by Bill Brown and featuring guest soloist Robin Finck from Nine Inch Nails. After taking a picture of a woman on the street, amateur photographer Hollis (Simon Quarterman) is shocked when she knocks on his apartment door and threatens his life. Demanding that he and the photograph must leave town with her or she will have to kill him, Hollis reluctantly obliges. While on the run, the woman, Natalie (Katia Winter) reveals she's an ex-MI5 agent that double-crossed a Colombian Cartel. Just as she was about to escape for good, Hollis' photograph surfaced and now the Cartel knows their whereabouts... Negative is directed by Joshua Caldwell and is produced by Mar Vista Entertainment. "The concept behind scoring Negative was to create a score that was both ‘dark' and ‘light' at the same time" explains Bill. "It was an interesting challenge and was fun to create that kind of road-trip through the desert score, along with the edgier, synth-driven cues needed for the action and suspense sequences. I used a lot more synth than in previous scores, especially with all of the new modular synth technology I’ve implemented in the studio. One of the highlights of scoring the film was bringing in Nine Inch Nails guitarist Robin Finck to help with guitar on the score. The first track is actually the end credits piece and features Robin’s guitars in all their glory." Composer Bill Brown has achieved great success in all forms of media with his compositions. His passion for composing is followed closely by his interest in cutting-edge sound technology. "In television, Bill scored all nine seasons of CSI: New York and went on to create an epic orchestral-electronic score for the second season of the post-apocalyptic series Dominion. In terms of video games, his list of credits include such well-known franchises as Command and Conquer: Generals, Captain America: Super Soldier and Wolfenstein. MovieScore Media had previously released the composer’s scores for Dark Prophecy, The Devil’s Tomb and Desiree.